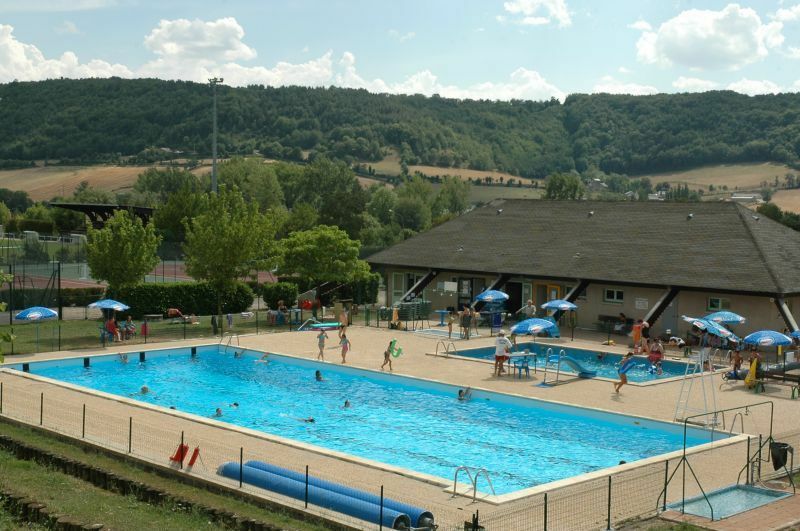 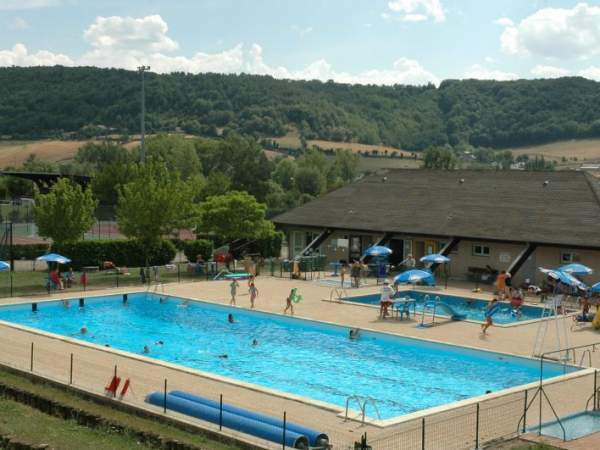 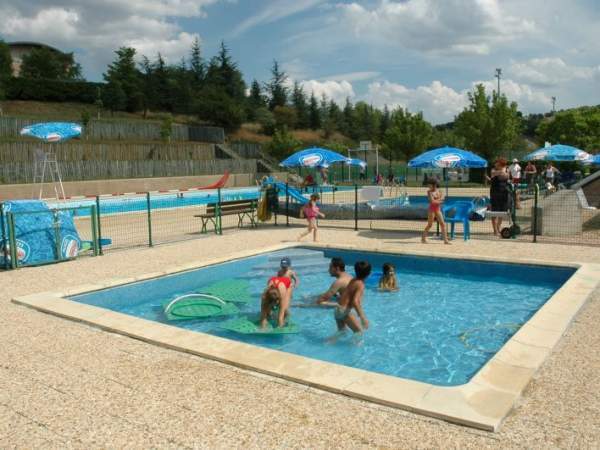 Campsite with covered / heated swimming pool in Aveyron with its paddling pool. 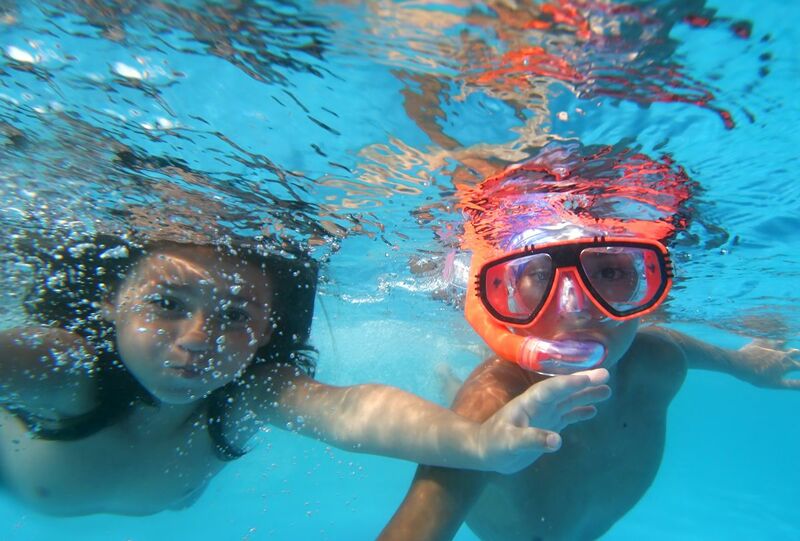 Your children will be able to enjoy our brand new indoor children's pool! 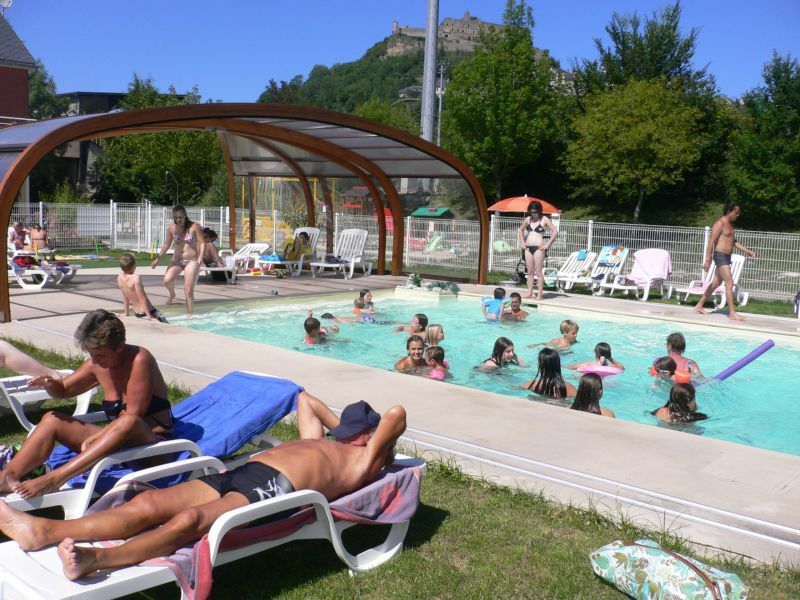 The swimming pool area is open from 01/04 to 30/09. 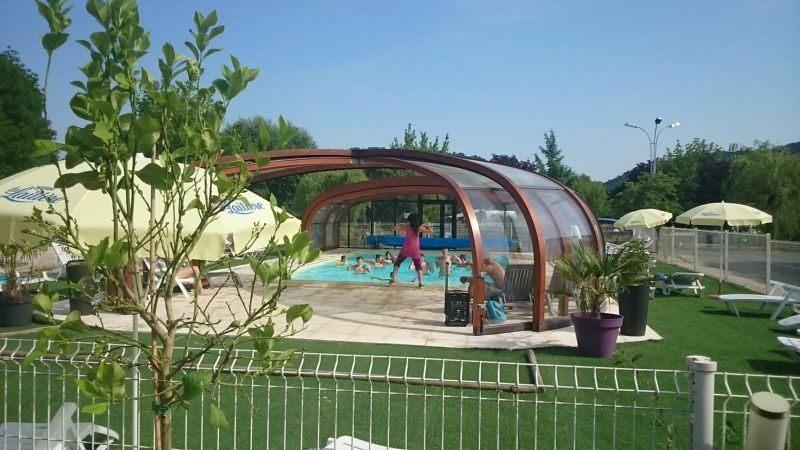 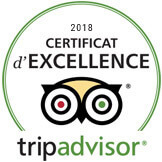 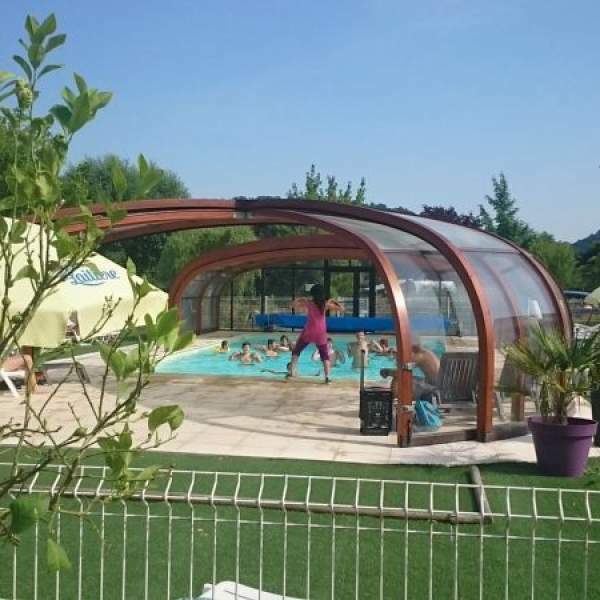 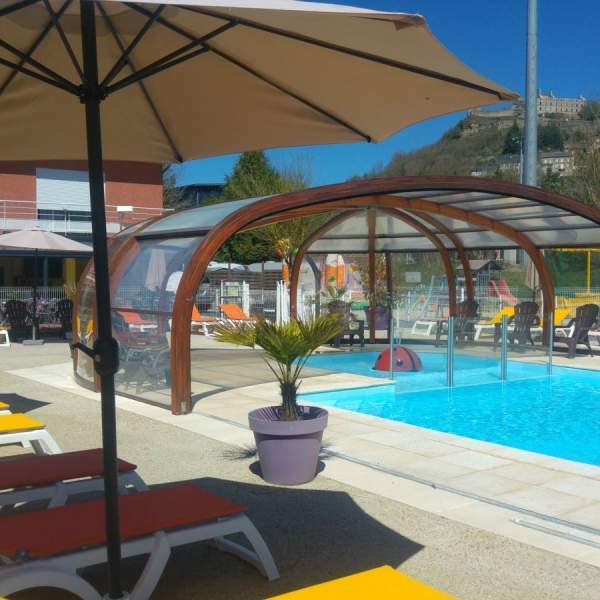 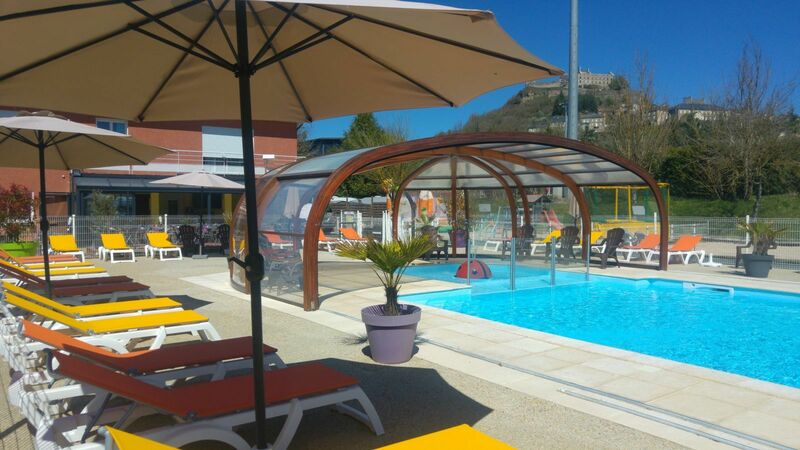 Whether it is covered or uncovered, you will enjoy the swimming pool in our 4-star campsite in Aveyron, to participate in water games such as water polo, water volleyball, etc... or simply for a relaxing swim. 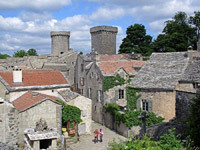 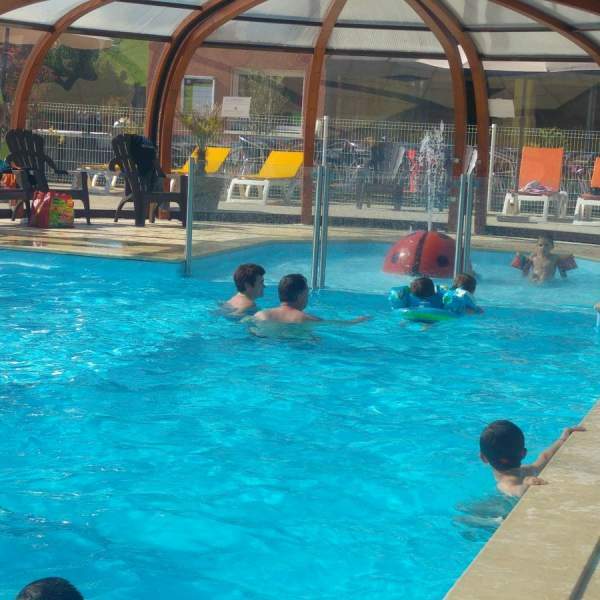 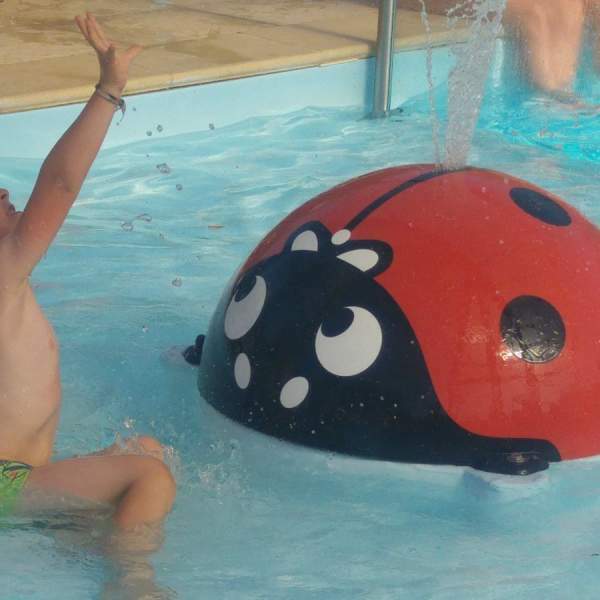 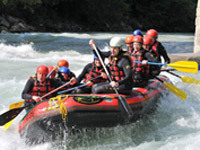 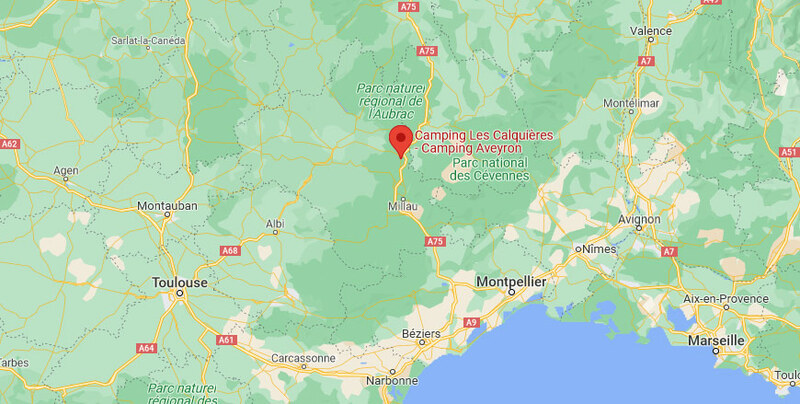 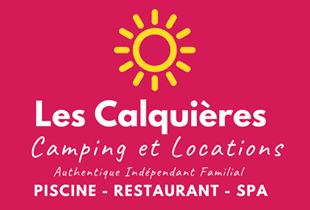 At the Campsite Les Calquières, the swimming pool area is open from April 01st to September 30th. 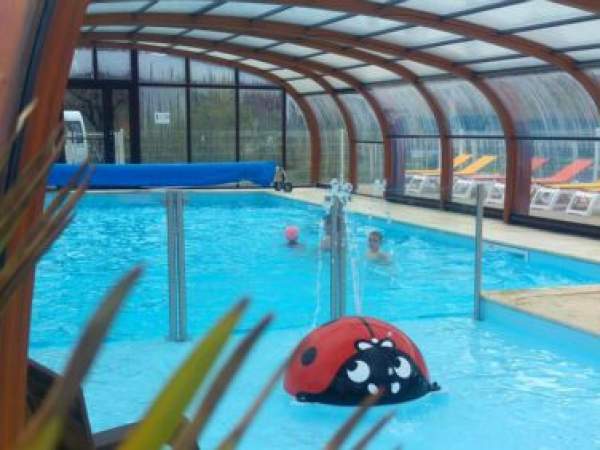 The pool will be covered or discovered, and also heated, according to the outside temperature. 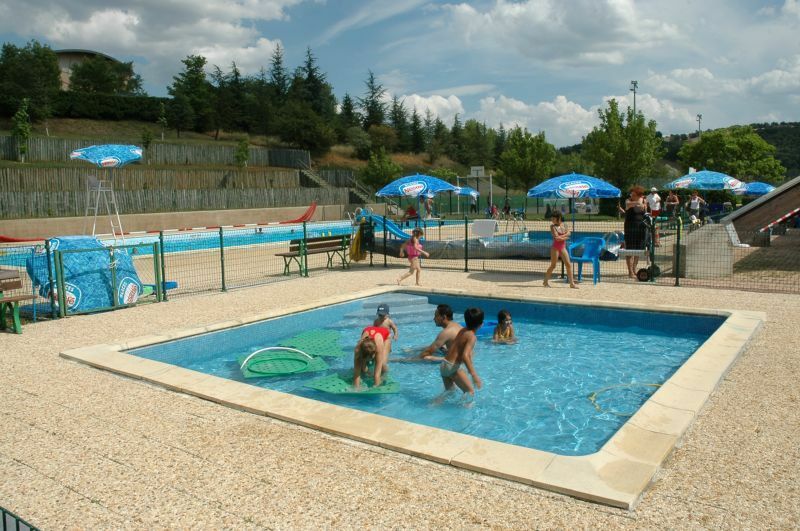 Our swimming pool and its brand new paddling pool await you for the pleasures of water. 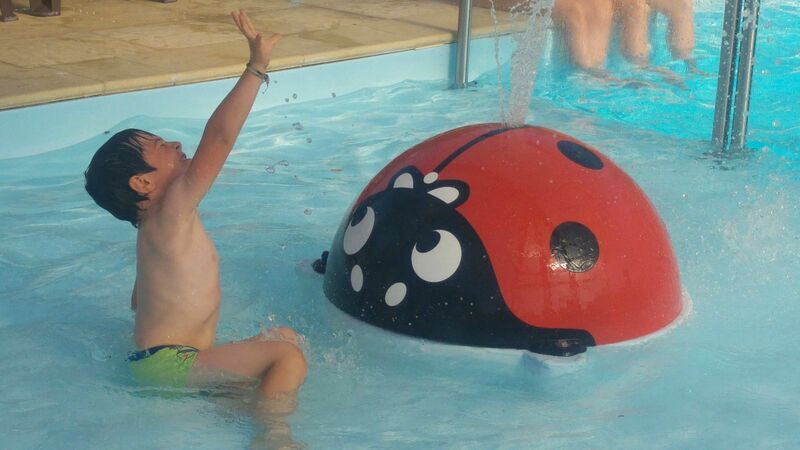 The youngest children will be able to play with the water jets of Madame La Cocci ! 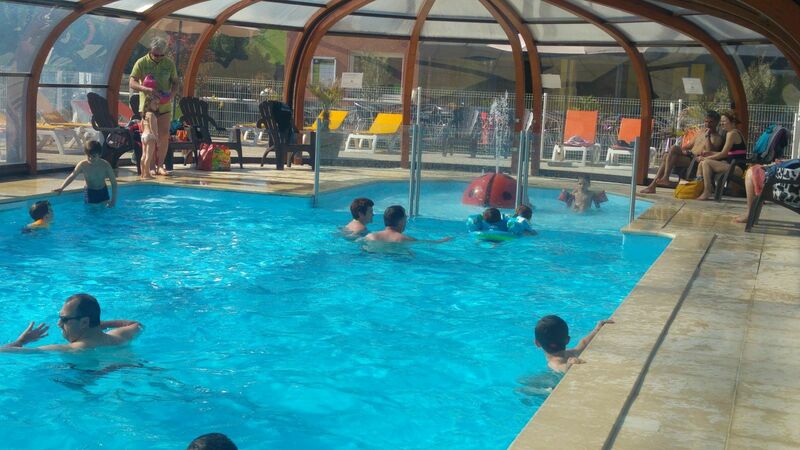 You can also relax on our sunbathing baths. 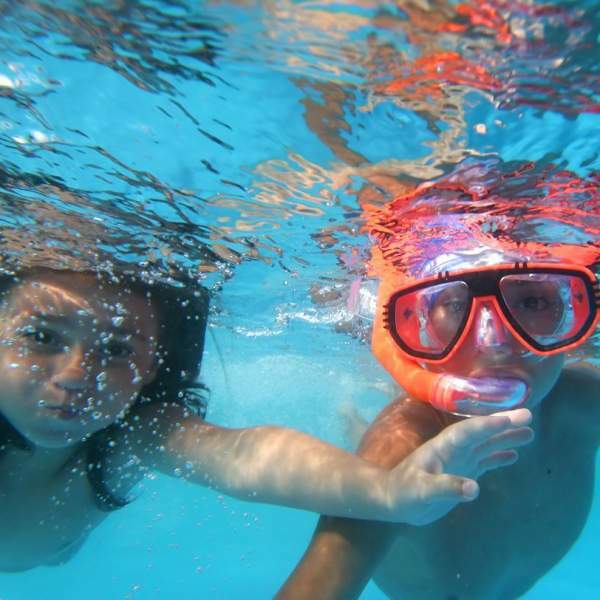 In July and August, water and sports games are available !